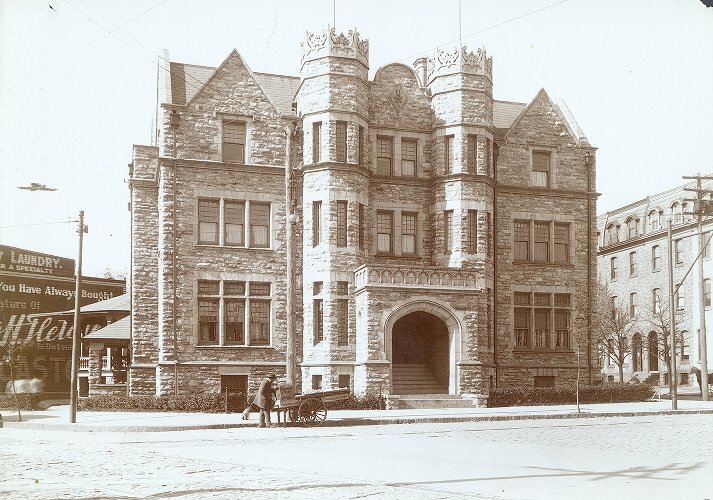 Penn’s Tau chapter was established May 5, 1891 and appeared in The Record of that year. The national organization was founded in 1833 at Union College in Schenectady, New York. In May 1990 the University ordered Delta Upsilon to vacate its house at 300 South 36th Street. In September 1998 the Tau chapter was permitted to re-occupy its house; the fraternity remains active in 2003. In 1833, Psi Upsilon pioneered a new and innovative method of fraternal organization at Union College which “completely revamped” previously existing ideas: it drew pledges from all undergraduate classes. Its motto was: “To us has befallen a mighty friendship.” Rev. Samuel Goodale is generally credited with being first among the seven founders of Psi Upsilon, the others being Robert Barnard, Sterling Goodale Hadley, Charles Washington Harvey, Edward Martindale, Merwin Henry Stewart, and George Washington Tuttle. 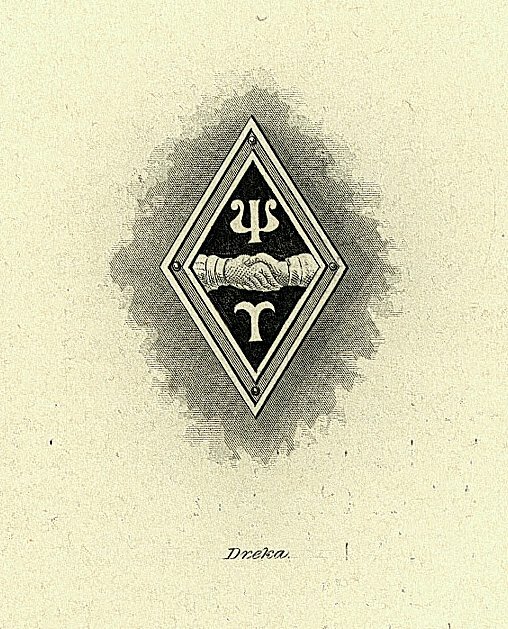 Penn’s Tau chapter was Psi Upsilon’s twentieth. Penn’s chapter founded by Charles S. Dolley and Henry Clark Johnson. There were thirty charter members. The Tau chapter has been located at 300 South 36th Street almost from the time of its inception. In the mid 1890s, the fraternity moved to rented space at 206 DeKalb Square, demolished the old house on 36th Street, and built the present house. Beginning in 1899 and continuing for nearly a century, Psi Upsilon occupied the most impressive fraternity house on Penn’s campus, the “Castle,” at the southwest corner of 36th Street and Locust Walk.